Twelve years after a Nine-Tailed Demon Fox attacked the Hidden Leaf Village of the ninjas, its spirit returns in the body of a young man named Naruto. 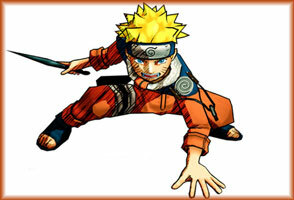 Naruto is now 12 years-old and training to be a ninja, but is proving to be a challenging student. However, after finally passing his test, he pairs up with Sakura and Sasuke and begins to grow into a worthy ninja ? all while maintaining his secret.